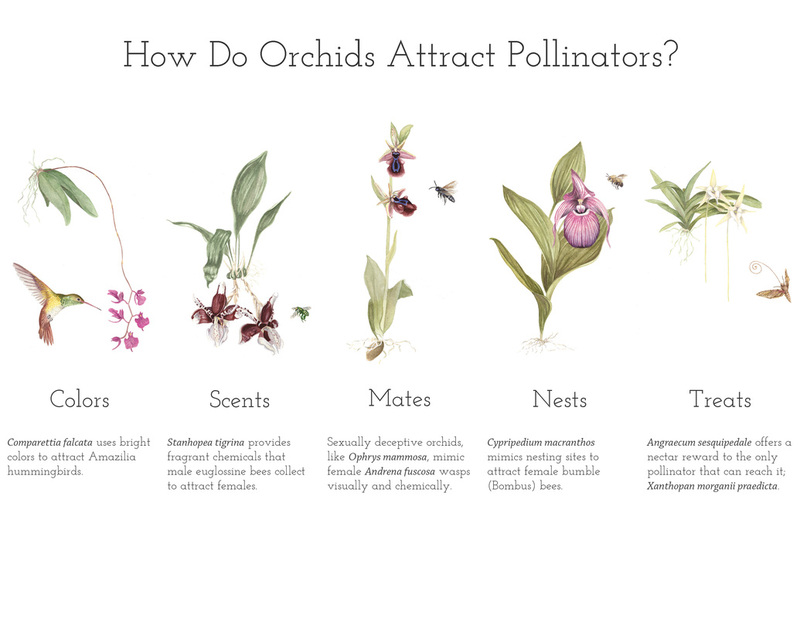 Orchids exhibit diverse strategies to attract pollinators. 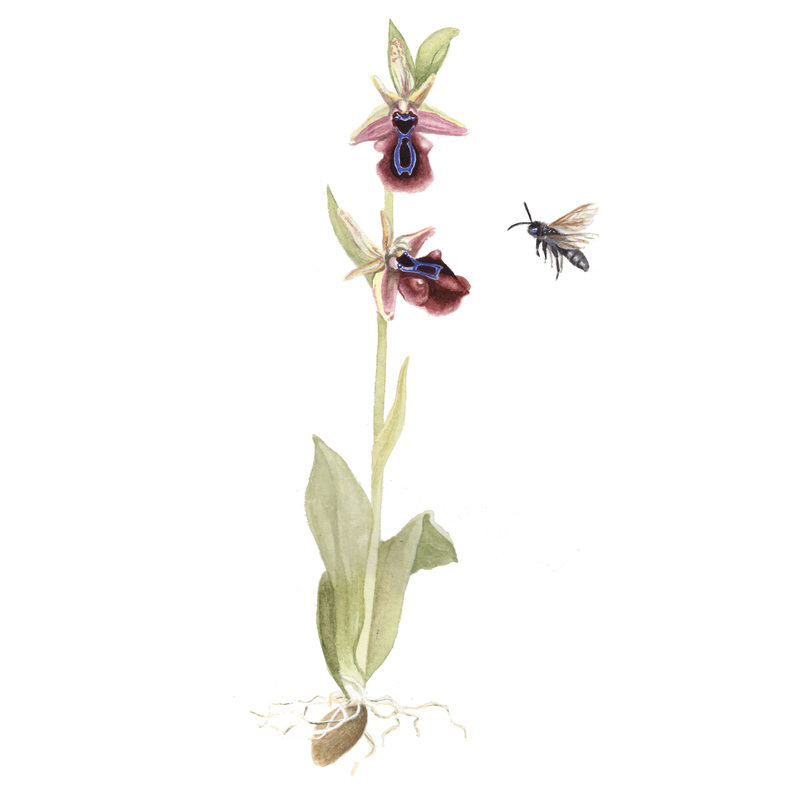 Some orchids attract hummingbirds with bright colors while others mimic mates or nesting sites to trick bees and wasps into pollinating them. 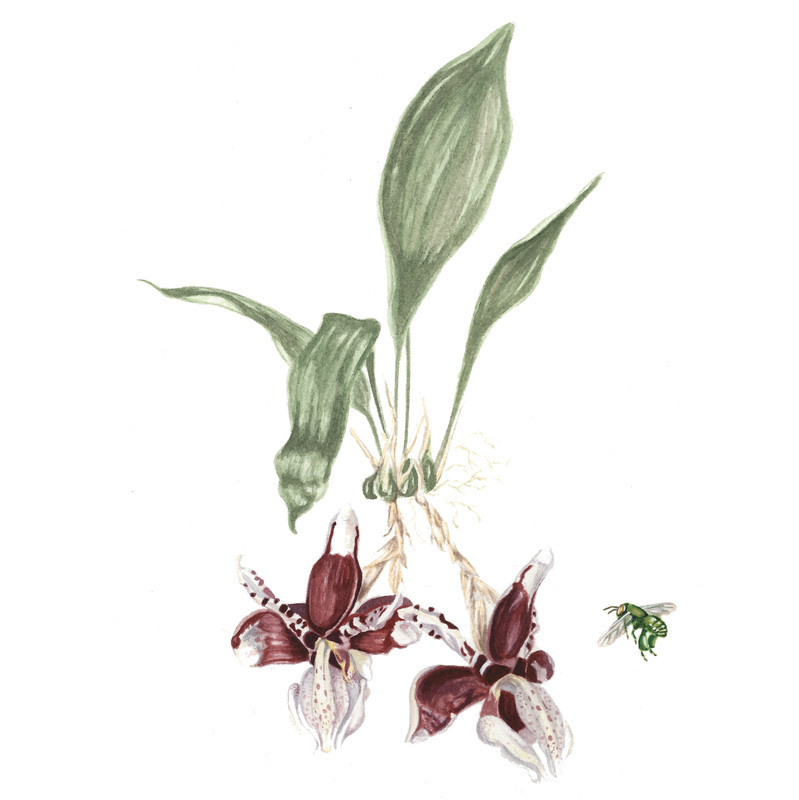 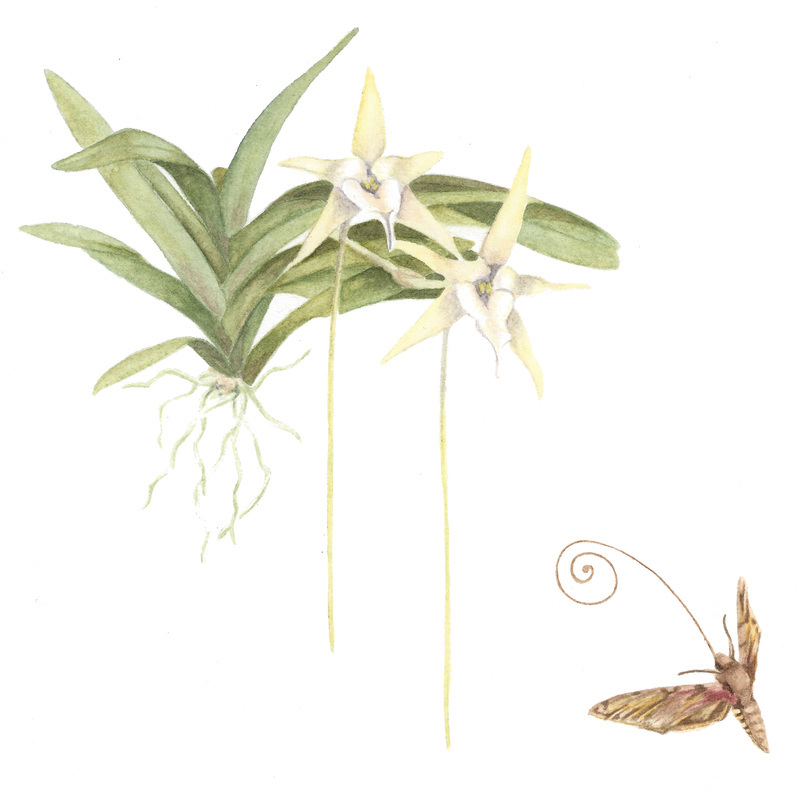 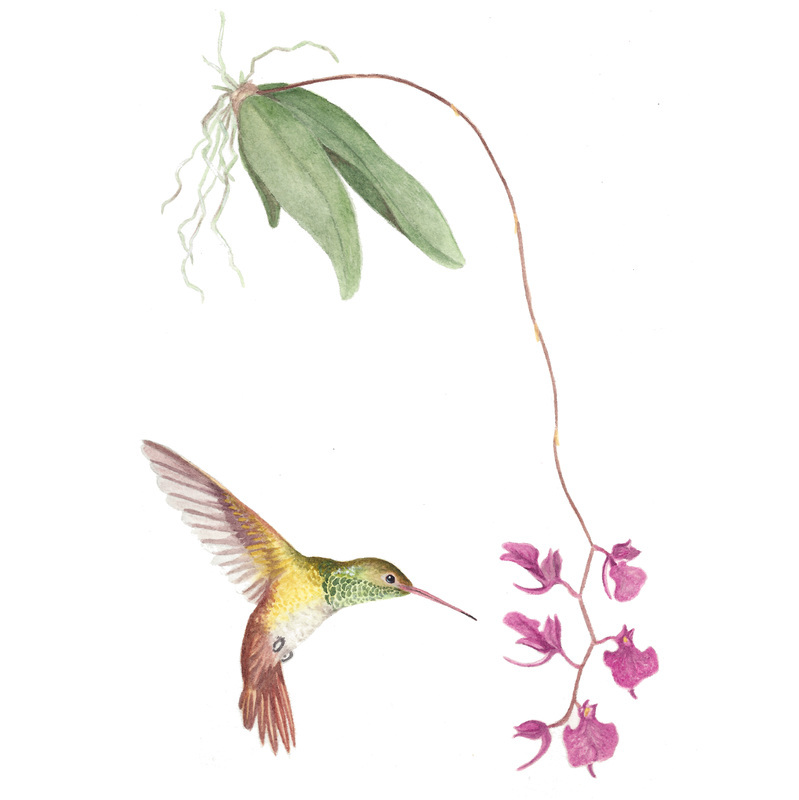 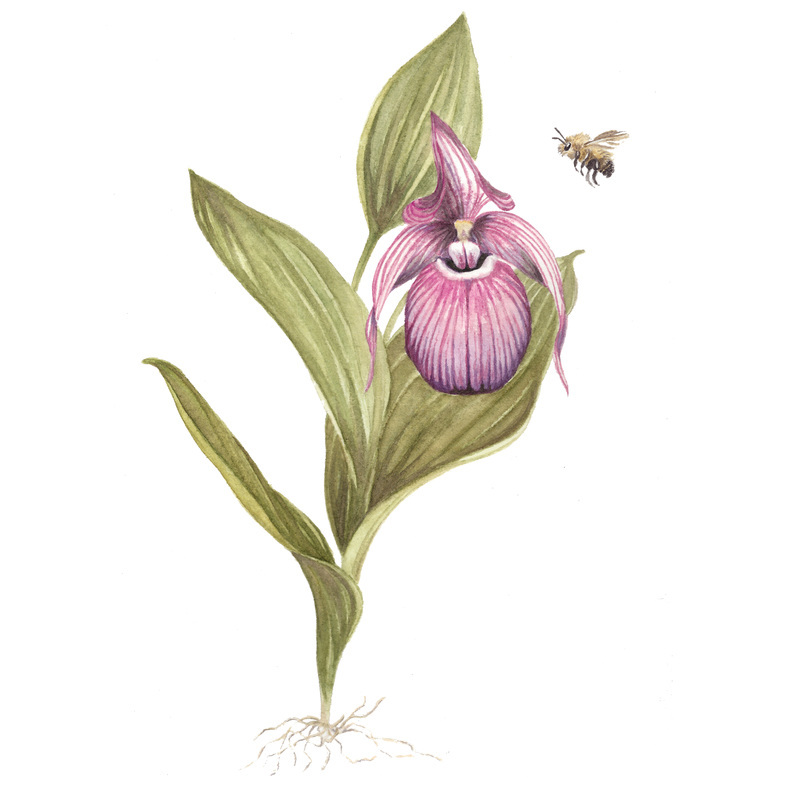 This series of paintings describes the main methods that orchids use to attract their specific pollinators.